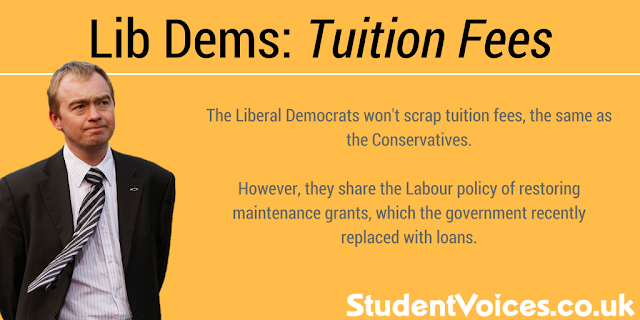 Where do the Conservatives, Labour, Lib Dems, the Greens and UKIP stand on tuition fees? 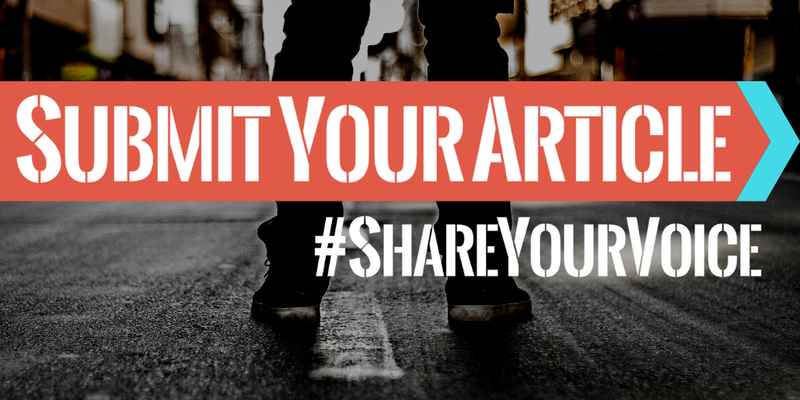 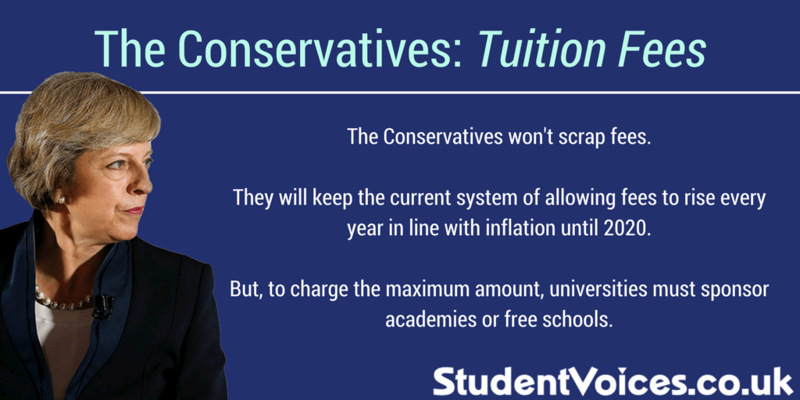 Scroll through our handy guide below! 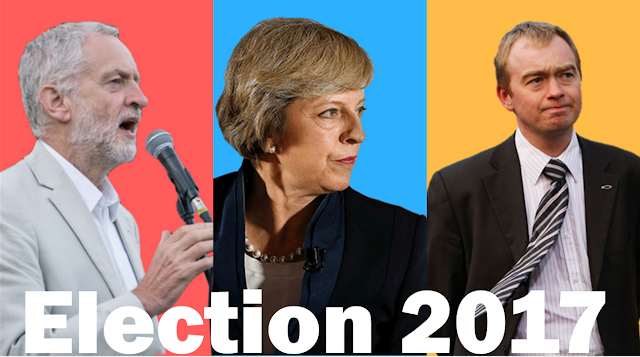 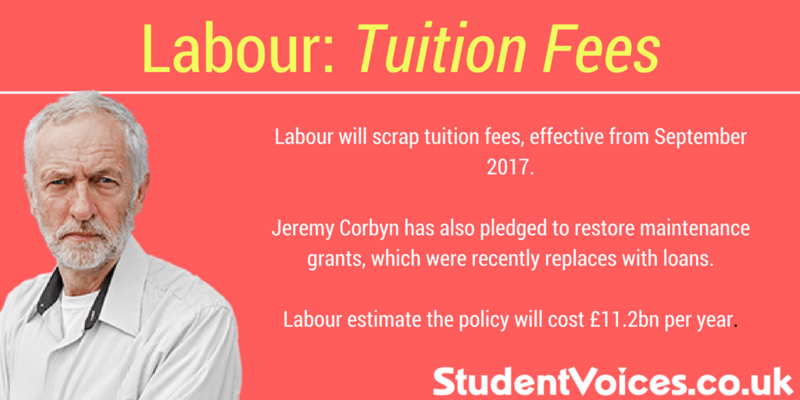 All of these policies are in the manifestos, or have been mentioned during election campaigning. 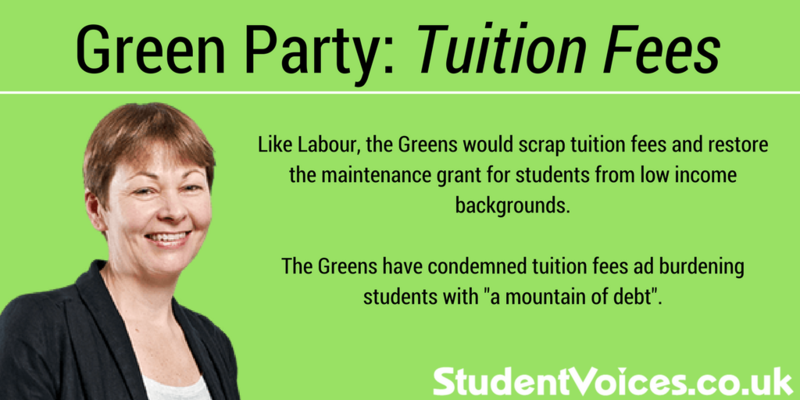 In brief: Labour and the Green Party will scrap fees and bring back maintenance grants. 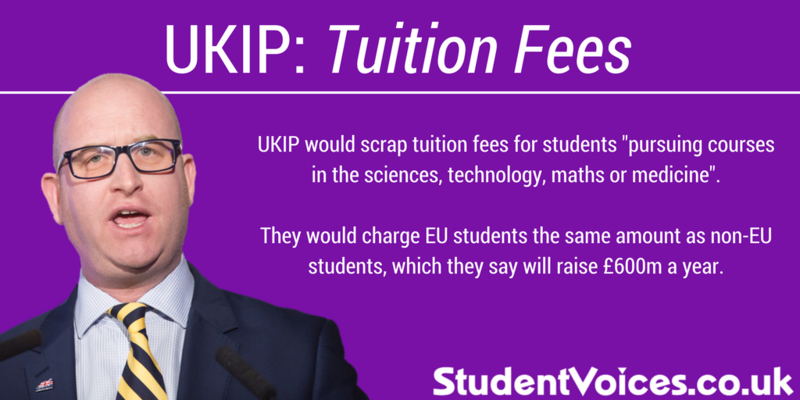 UKIP will scrap fees for students taking "science, technology, maths or medicine" courses. The Conservatives will allow universities to raise fees in line with inflation, if they meet certain conditions. The Lib Dems wont scrap fees, but will bring back maintenance grants.